Just finished watching the final episode of Parks and Recreation. After Seven glorious seasons the show has finally ended. 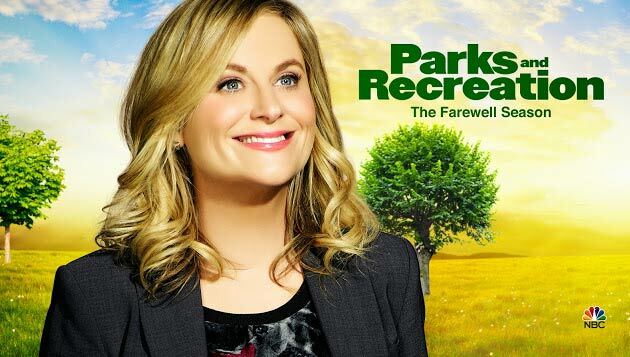 The last two episodes, which were shown together, was a great send off for the gang who all met at the Parks and Recreation Department of the fictional town of Pawnee Indiana. For seven years they tickled me and my family's funny bones with their crazy antics, character quirks and plot lines. All of course in a clean-natured and fun way. It's one of the few shows that I can get to watch together with my family because the themes tackled aren't too risque. In this day and age, it's very hard to find comedies like that anymore. This site isn't just about mecha, it's also about unforgettable moments in my past that left a mark in me. Well with Parks and Recreation its something that I cherish because it was something that I shared with my family. Watching this show together for the past seven years left us a cornucopia of cherished memories that we experienced together. It's great to have lived a life full of meaningful experiences and events, but it's even better if you were able to share this with the people who matter to you the most. Thank You Parks and Recreation, for all the laughs, but most especially for the opportunity to have spent the time together as a family.